Billy Beane's controversial scouting and recruiting style made him the scorn of baseball for many years. That is, until his Oakland Athletics teams began to win. Small-market team like the A's are at a consistent disadvantage year after year. While major market teams can throw money at prized free agents, smaller clubs have to be more practical and focus on developing players within their own organization. That's exactly what Beane did as the Athletics' general manager. With an eye for talent and a knack for risk-taking, Beane set out to redefine player value by using a litany of statistics. The subject of the best-selling Michael Lewis book, Moneyball: The Art of Winning an Unfair Game, the elusive subject of Beane and his approach to building a winner has also been made into a movie starring Brad Pitt. Beane came into baseball as a highly touted prospect. However, his playing career was short-live. In parts of six seasons, Beane served as a back-up outfielder on five different teams. 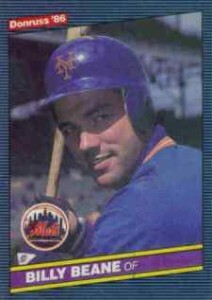 He completed his 148-game major league career with a .219 batting average, 66 hits, 29 RBI and three home runs. Produced at the height of the junk wax era, this card is available in droves and is often used by autograph collectors for in-person and through-the-mail autographs. 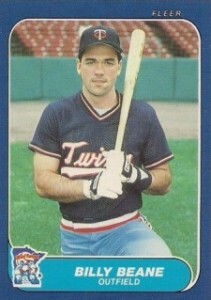 Included inside the end-of-season box set, Beane is pictured in a classic kneeling pose in a Twins uniform. Again, the massive print run makes this card readily available. 1988 Topps Tiffany Baseball Cards #251-500 You Pick! Below you will find examples of what an authentic Billy Beane Signature autograph looks like. This can be used as a first point of reference for determining the legitimacy of autograph memorabilia, but is not a substitute for having your items authenticated by a well-respected professional autograph authentication company. Some of the trusted sources within the sports memorabilia market include the following companies: PSA, JSA, Steiner, Tristar and Mounted Memories. Click on any of the images below to view full size photos. 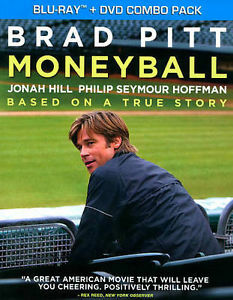 The blockbuster success, Moneyball, starring Brad Pitt as Billy Beane is a must have book and movie for any baseball fan. 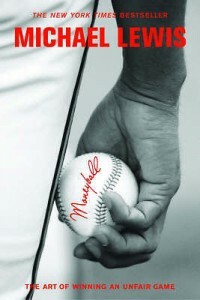 Based on the true story of the Oakland A's and their general manager, Billy Beane, the book was originally written by Michael Lewis. Jonah Hill and Philip Seymour Hoffman provide an excellent supporting cast. Click on the book or the Blu-ray to shop for copies on Amazon.